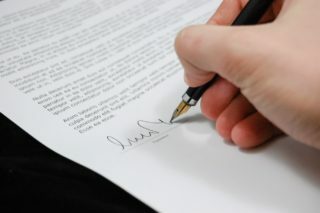 Contracts are the foundation of all business transactions. Whether you are buying goods or selling services, a contract is there to protect the parties involved and clearly define the terms and conditions of the business relationship or transaction. An offer – what you/your business is offering to do, such as provide services, lease a space, produce a product, etc. Contracts can be verbal or written. But for the purposes of protecting yourself and your business, we cannot stress enough the importance of putting contractual agreements in writing. Proving the existence of verbal contracts and their particulars can be very difficult to do, should you find your business filing or fighting litigation. 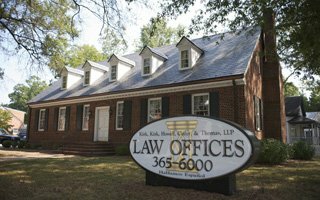 Why Do You Need a Raleigh Contract Lawyer? Because contracts are the foundation upon which your business rests, bringing in an experienced business or contract attorney to help draft or evaluate your agreements is a critical component in your business’s health and success. A thorough contract that clearly spells out the rights and responsibilities of the parties entering into the agreement helps define and manage risks, and ensures your best interests are always front and center. Likewise, most businesses will at some point need to seek legal counsel for enforcing contractual obligations or to address breaches thereof. Employing the services of an experienced, dedicated law firm to assist in this complex and delicate process is essential to achieving the best outcome possible. The partners at Kirk, Kirk, Howell, Cutler & Thomas, LLP are here to help with all these issues and more. Our seasoned Raleigh team can provide assistance in contract drafting, review, negotiation, execution and enforcement, as well as contract disputes and breaches. In our 50+ years of practice, we have worked with a vast range of companies and professionals, from small family-run businesses to startups to national corporations. We make it our business to get to know your business and it’s unique needs. We strive to provide you with aggressive, practical representation as well as top-tier legal advice so that no matter what the question or problem, you have a solution. Contact our Raleigh practice at 919-615-2473 or complete the form below to find out more about our business legal services.